Meet Hattekar sisters and Sidhu brothers. 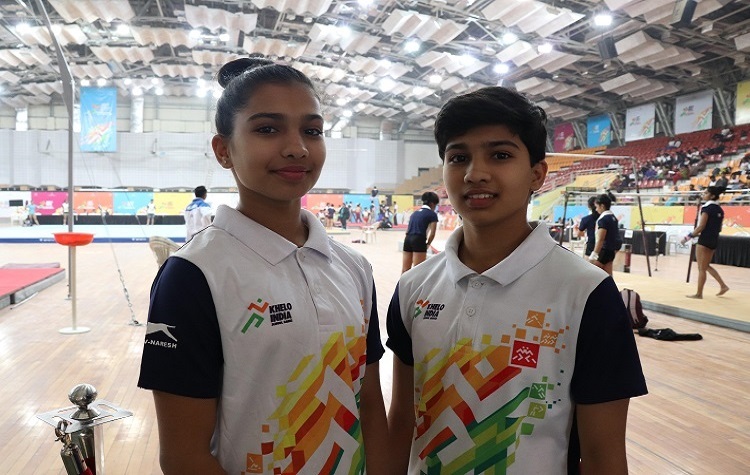 The four have set the sports world at Khelo India Youth Games 2019 on fire. While the Hattekar sisters have won four medals (two each), Sidhu brothers won medals in air pistol. Siddhi Hattekar won the girls Under-17 all-around silver and backed that up with a gold in the uneven bars while her twin, Riddhi won bronze medals in the all-around and balance beam. The two train in the Sports Authority of India centre in their home-town, Aurangabad. Chandigarh’s Sidhu brothers, Udhayveer and Vijayveer, won the boys Under-17 10m air pistol gold and silver in the Under-21 event, respectively. They competed in different age-groups to take a crack at winning two gold medals for Chandigarh but that was thwarted by world championship medallist Arjun Singh Cheema by a mere 0.2 points. While the youngsters are excited with their individual victories, they take pride in each other’s evolution as athletes. Meanwhile, the sports lovers of India hope these twins become as famous and successful as Australian cricketers Steve and Mark Waugh and American tennis stars Mike and Bob Bryan.